Philadelphia Cream Cheese has unveiled a new campaign that aims to inspire Australian chefs at home to come out of their shells. 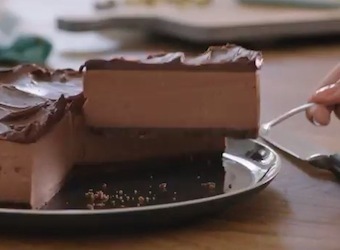 The ‘Do Your Thing’ campaign for the Mondelez brand showcases a compilation of food inspiration for everyday home cooking and features a cast of Australians preparing a range of recipes for their families using Philadelphia products. The communications activity for ‘Do Your Thing’ is focusing primarily on digital and Philly’s online hub Philly.com.au, with amplifications across TV, print and PR. In addition to releasing contents on Philly’s YouTube channel, the brand will also be launching a new integrated activation on their recently launched Philadelphia Australia Facebook Page. The interactive campaign will commence in May and seeks to encourage consumers to participate with Philly’s brand message of ‘food inspiration’. The ultimate goal of the campaign is for Australians to realise it is not difficult to produce tasty treats in the comfort of their own home, while demonstrating the versatility of Philadelphia products by incorporating them in meals ranging from breakfast foods to desserts. Griddled peach and Philly, ruby grapefruit cheese and Philly with honey and dukkah are some of the recipes that will be included to motivate home cookers to begin experimenting with ingredients.